Reloading ammunition is common among shooters as it is cost effective. 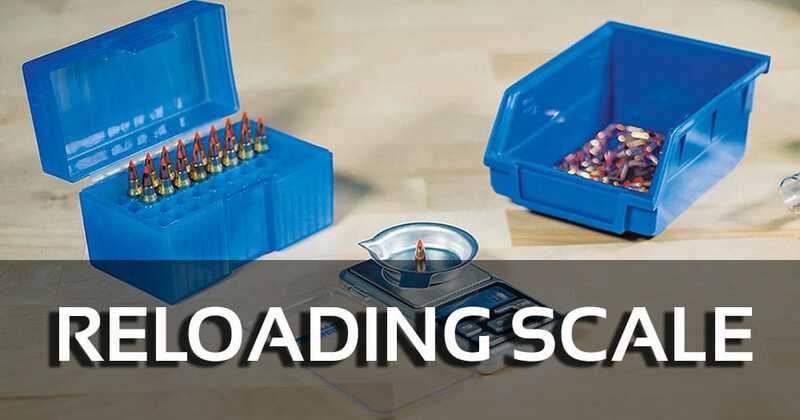 However you’re only going to get good results if you’ve got the best reloading scale. A reloading scale is necessary to fine tune the reloading process. With it you’ll be assured the powder you put in is correct for that case. There are a lot of reloading scales in the market with different features and specifications. Choosing what to buy may be overwhelming for a beginner so I went through the various options and picked the top 5. Each review is concise but informative, and I have highlighted the major features. I have also included a buyer’s guide if you want to know more about reloading scales. If you are in a hurry the table below gives you a quick comparison overview of the 5 reloading scales. For more details you may want to read the individual reviews. 3 What is a Reloading Scale? 10 Who Makes the Best Reloading Scale? The FA Platinum Series’ most significant feature is its ability to measure via ounces, grams, grains and karats. This gives you greater flexibility when weighing objects. This reloading scale review can also point out its LCD provides a nice blue backlight for more convenient reading. Two calibration weights are provided that helps with 3 point calibration. The Platinum Series can run on batteries, AC or DC power. There’s an auto shutoff that kicks in if the unit is idle for three minutes. The FA scale is accurate to 1/10 grain with a capacity of 1500 grains. The unit has been designed specifically for loading and measuring bullets, cases, rounds and powder. The controls are intuitive so even a first time user won’t have problems learning to use it. The scales are also accurate regardless of the measuring option you choose. 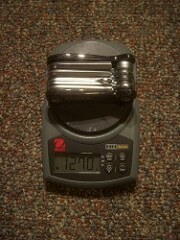 The scale weighs only 2.2 lbs so you can easily carry it. Run it on electrical or battery power it’s your choice and the results will still be accurate. If you’re going to run the FA on power, let it warm up for a couple minutes first. A carry case is provided so you can take the FA anywhere. 4 AAA batteries are included so you can start using it immediately. The Chargemaster is a mechanical reloading scale, but don’t let that fool you as it is as accurate as the best digital powder scale around. RCBS came out with the original model some 2 decades ago and it’s still widely used, testament to its popularity and accuracy. The Chargemaster frame is made of alloy and the integrated pan keeps powder from spilling and sticking. The scale comes with a 3 poise beam with 0.1, 1 and 10 graduating measurements. The black and white contrast makes it easy to read the graduations and the 0.1 grain increments keep it accurate. The 0.1 precision level is good and the 511 grain capacity is decent. It’s not the biggest scale but for beginners and casual reloaders this should be enough. There are a few complaints about the base not being stable enough and true, it is light. But there should be no problems if you set the Chargemaster on a flat surface. Its powder hopper has a 1lb capacity that allows you to scale quickly. The dispenser is already built to provide optimum accuracy and protection. The Chargemaster isn’t just accurate as it is also fast. Based on speed comparison tests it’s 5 to 6 times faster than other scales. A lot of reloading scales have gone digital but the Chargemaster has not, but it’s still accurate. The Hornady 50108 easily makes my list of the best powder scale for reloading list for its accuracy. At just 2.2 lbs the 50108 is also one of the lightest and comfortable to use. The 50108 runs on AC power so it’s suitable for continuous use. Reading the data is easy since the LCD is large, eliminating the need to squint. Grain accuracy is 0.1 which is what you’d expect from Hornady. Given th3 brand it’s not a shock the figures are accurate. Two calibration weights are included to ensure accuracy, and the 1500 grain capacity is good enough for most reloaders. Low powder capacity is a frequent problem with reloading scales so it’s good to see Hornady address this issue. The reloading scale is made from durable materials and uses a very accurate load cell. It’s also been designed specifically to weigh rounds, powder, cartridges and cases. Being able to weigh to 1/10th of a grain says a lot about its quality. You can also use a trickler for pouring if you want to work with small amounts. If you’re looking for a smaller scale then you’ll find the 50108 useful. It’s easy to use and works with different types of powders. For best results you should let the 50108 warm up for a few minutes, then it’s good to go. The Lock-N-Load Auto Charge has the features that speed dispensing and scaling. It has an easy to read LCD with backlit display and large keyboard for quick inputting. This digital scale for reloading is built to charge automatically, but there is an option to dispense manually. Reloading manually takes more time but if you’re used to it, then this method is available. The trickle feature works as expected and you can add a propellant too. There are a few instances where it overcharges but a quick restart should fix this. It only takes 5 minutes for the auto charge to disperse powder which is up to times quicker than with a manual scale. The scale works best when it’s positioned far from other electrical components. There are 3 speed options – fast, slow, normal – so you have full control over the dispensing. You can adjust the speed setting according to the propellant granules’ size. Regardless of the setting you’ll be in control. Accuracy level is 0.1 grain which is comparable to other Hornady reloading scales. The powder measure is not only accurate but built for speed and accuracy. One of the trademarks of Hornady reloading scales is the sensitivity and that is evident here. From weighing powder to bullets the Lock-N-Load Auto Charge delivers accurate numbers. If you’re looking for the best powder scale for the money then the Gemini 20 is something you’ll want to consider. While built to weigh powder, bullets and cases, you can also use it for chemicals and gems. The Gemini 20 has a 308 grain / 20 gram capacity which is ideal for reloading cases manually. The scale runs on 2 AAA batteries which are provided, so you can use this anywhere you are. The Gemini 20 comes with a carry case so you can take this with you anywhere you go. You also get a calibration weight, a tray and tweezers. These are basic accessories but help with reloading and calibration. Like other reloading scales you have to put the Gemini 20 on an even surface to get an accurate reading. A flip down shield is included that safeguards the surface when it’s not being used. When you do use it the 0.001 gram increments ensure results are accurate. 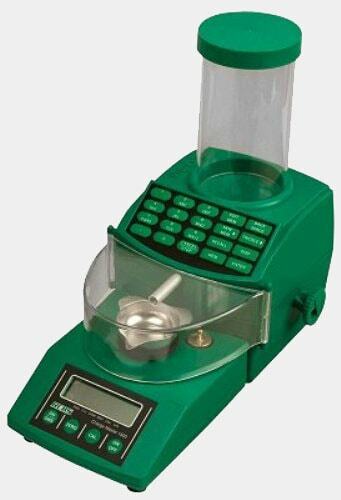 The Gemini 20 supports six weighing units including grains, ounces and carats. The platform is made of stainless steel so it holds up well. You’ll need to use only 4 keys to operate the scale, and the separate on and off buttons are separate so you don’t accidentally press the wrong button. What is a Reloading Scale? A reloading scale is a device used to weigh and measure powder, cases, bullets and other reloading accessories. These devices work on the same principles as regular scales except they’re built for bullets, gun powder and cartridges. A reloading scale is used by reloaders to improve accuracy. Different types of scales are available and use different mechanisms though the goal is the same. Reloading scales have been around for a while though the technology has improved significantly. Nowadays these devices are easier to use and have more features that expand their functionality. Reloading scales offer lots of advantages. You’ll only get benefits from reloading if your measurements are correct. For instance you need to pour a specific amount of powder otherwise the round won’t be as accurate or powerful. 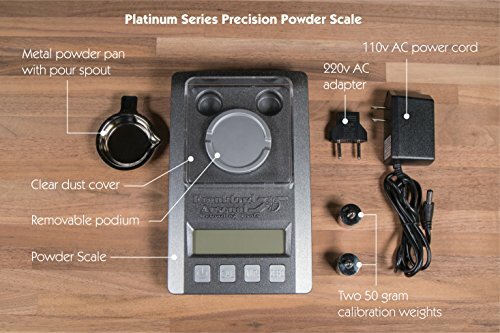 With the most accurate powder scale you’ll be able to weigh cases, projectiles and other reloading paraphernalia precisely. Reloading scales are not just for powder and cases. 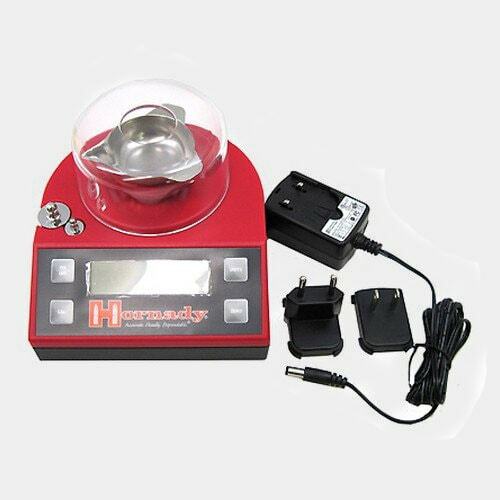 You can use this to weigh gems, stones, small electronic components and more. Most reloading scales weigh less than 3 pounds so you can take this with you anywhere. Most also come with a carry case for storage and protection. Reloading scales are very easy to use. All you need to do is turn the device on, choose the weight unit and put the item you want to measure. The ease with which you can measure powder and other reloading equipment is what makes them indispensable for the reloader. Buying from a reliable brand means you’ll be able to use it for years to come. These companies’ use of high quality components means you can use the scales for extended periods without worrying about damage. Reloading scales can be divided into two basic categories, digital and mechanical. Mechanical scales have a graduated scale and mass slider. The more beams a mechanical graduation has the more accurate the results. A 0.01 graduation is needed for mechanical graduation, and these devices have been designed to prevent outside forces from affecting the results. Designs vary from simple to complex. Digital reloading scales use digital technology to take measurements. These have calibrators to improve accuracy. Digital reloading scales come with several features that enhance their functionality while still focused on giving accurate results. These devices have an LCD screen so you can read the data clearly. Some reloaders prefer digital and say it is faster and more accurate. 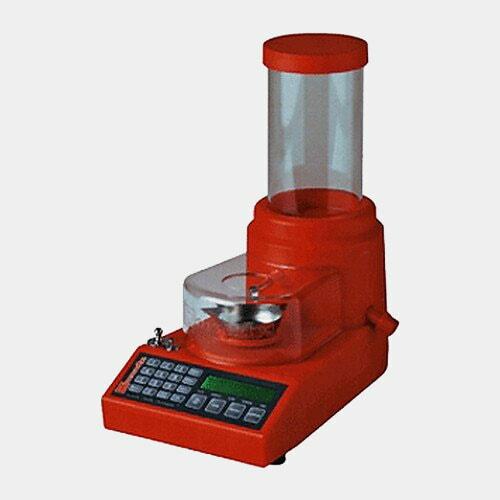 But there are also those who prefer a mechanical reloading scale because it is more convenient and reliable. 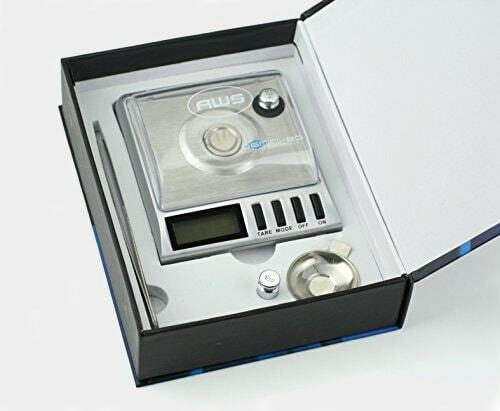 Both digital and mechanical reloading scales are accurate provided you buy from a respectable company. It is important therefore that you avoid unknown brands that sell products too cheaply. No matter what you choose, it’s best if you get a check weight to make sure the measurement hasn’t changed. Not all reloading scales are built the same way, with some more capable than others. Here are some of the major factors you’ll need to account for. All reloading scales provide grain as a weight unit option. But others can measure in ounces, karats, grams and more. If you use the reloading scale for gemstones, medicine, food and other items, you’ll need the extra weight unit options. The rule here is simple, the more accurate the reloading scale the better. An accuracy level of 1/10th of a grain is all right. It is hard to emphasize how important accuracy is when reloading ammo. You must always put in the right amount of powder and make certain the case weight is right for your firearm. If you don’t have the proper measurements you’re not going to get the accuracy level you’re looking for. A reloading scale also ensures you’ll get consistent results. This determines how much the scale can weigh. Don’t settle for anything less than 300, while 1500 should be enough for many reloaders. Even if you’re new to reloading it’s best not to settle for a low grain capacity scale. You will be surprised at how quickly your needs can grow. Rather than buy a separate scale, it is more practical to buy a high grain capacity scale now. The reloading scale needs to be large so you can read the measurements clearly. A backlit display is ideal so you can read in the dark. The buttons should be accessible or the keyboard large enough to make typing easy. The controls should be intuitive so it’s simple to use. An auto shutdown feature turns the unit off when it is idle for a certain period. This is a must for battery powered scales to save power. If you buy from a reputable brand expect the warranty to be good for at least one year. The longer the warranty the better, but do read the fine print so you’ll know the extent of the coverage. This guide is for a digital reloading scale. For more specific steps please refer to your owner’s manual. Place the scale on a level and stable surface. Do not put the scale close to a reloading press as the vibration might affect the results. Insert the batteries or plug into a power adapter. If the scale comes with a dust cover, lift it up. Put the dust cover back down when you’re done using the scale. Some electronic / digital scales need to run for 24 hours before it is used. This is for stabilization purposes. Do this if your user guide recommends it. Calibrate the scale before using it. Turn the scale on by pressing the on/off button. Press the zero or reset button to place the scale to zero. Press and hold the on/off button until the display reads ‘0”. Put the calibration weight on the scale. It will display the correct weight. Remove the weight and the display now reads 0. It is ready to use. To weigh powder, put a powder pan on the scale. Tap the zero button to set the number to zero. Depending on the design, the weight unit may be changed from grains to grams or other units. Tap the mode button to choose your preferred unit. Press the zero button after every 10 uses or so to ensure it’s still calibrated properly. Turn the scale off when you’re done. Do not leave any object on the scale for too long as it could damage the surface. Put the calibration weight gently on the scale. Do not drop it suddenly as it might damage the unit. Frankford Arsenal is known for their reloading products. Originally a military ammo plant, the company has expanded and now includes a lot of reloading supplies and products. Hornady was founded by Joyce Hornady in 1949. The firm started as a two-person company and expanded to include various reloading products. Lyman traces its humble beginnings in the 1800s where the company specialized in gun sights. From gun sights Lyman expanded and now manufactures reloading presses, tumblers and other accessories. Redding began in 1946 by selling reloading supplies and products.. Since the company was founded it’s become one of the most respected in the industry. Richard Lee started his company in 1958 by manufacturing shotgun shells. Their products became very popular and Lee Precision has become known for reloading scales and measures. There are several reloading brands, but those above are the cream of the crop. Who Makes the Best Reloading Scale? Needless to say every brand will say they make the finest reloading scales. But that is not true as some brands like the ones I mentioned above are superior to the rest. Frankford Arsenal and Lyman have been around since the 1800s and remains strong due to the high quality of their products. Hornady, Lee and RCBS have also been around for decades, and the reason they’ve managed to stick around is they make a lot of useful and practical reloading equipment. I will pick a winner from the 5 reloading scales, but let me say that you will get a quality reloading scale when buying from any of these brands. A reloading scale is indispensable if you reload frequently. As I have pointed out earlier it is the key to accurately measuring how much powder needs to go in a case and measuring other reloading gear. All the scales here can do that, but the best is the Frankford Arsenal Platinum Series Precision Scale. It is easy to use, accurate and displays the results in various weight units. The scale is also well built and the 1500 grain capacity should appeal to a lot of reloaders. Being able to run it on batteries or electrical power gives you extra versatility, which is why I chose the FA Platinum Series as the best reloading scale. What is the Best Rifle Reloader? COPYRIGHT © 2018 · trendytactical.com, ALL RIGHTS RESERVED.